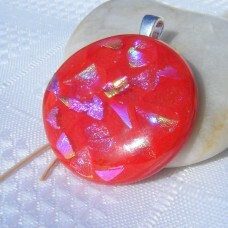 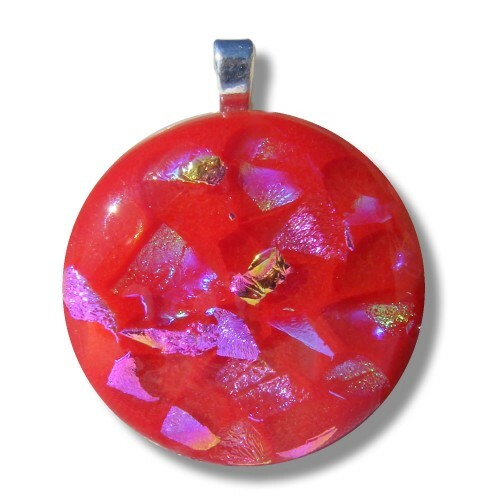 3cm x 3cm Red glass with pieces of dichroic glass combined to form this eye catching pendant. 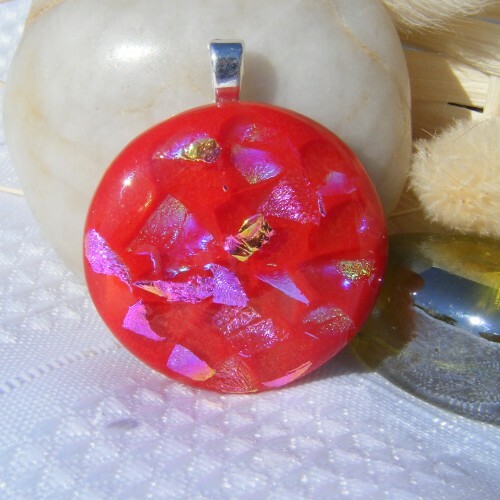 Perfect for day or night wear. 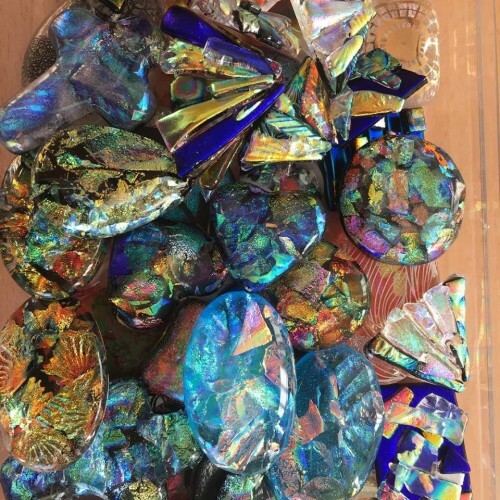 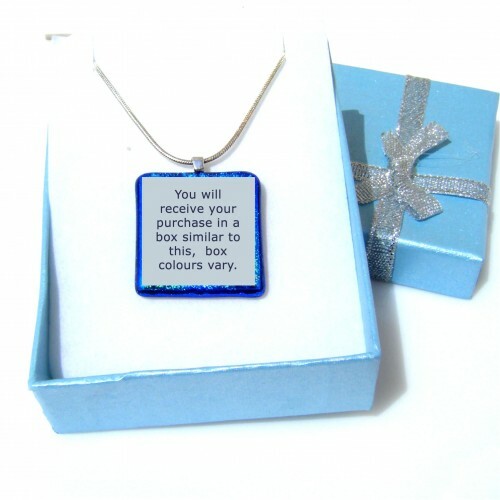 I hope I have presented my jewellery to you in a way that is appealing and I am sure you will be pleased with your purchase. 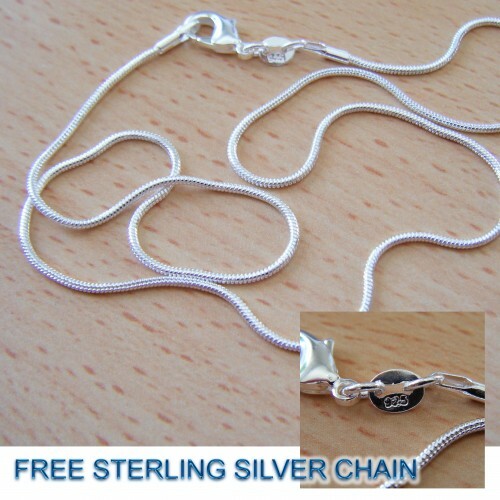 Complete with heart shaped silver plated bail and a 16 inch or 18 inch STERLING SILVER 925 stamped snake chain and pretty gift box.